October 18, 2018 October 18, 2018 Amanda B.
October 11, 2018 October 4, 2018 Amanda B.
October 4, 2018 September 28, 2018 Amanda B.
August 14, 2018 August 12, 2018 Amanda B. Giving homework in kindergarten can be hard. You need parental involvement, and it can be hard for some families to find time to complete it. One of my co-workers wanted a monthly calendar that students could complete with their families. 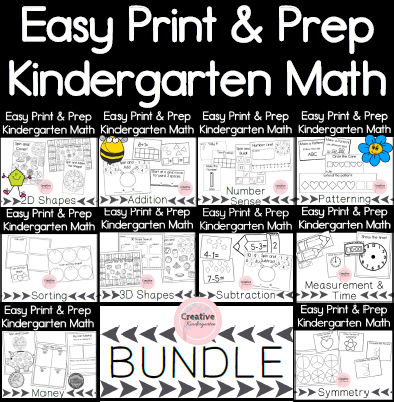 I created these editable monthly homework challenges so that families can complete the activities on… Continue reading Homework in Kindergarten? Take a Look Back #48- dinosaur sensory bin, teen number stacking game, and more! July 13, 2018 July 5, 2018 Amanda B. Going into my second full week off of school and I am enjoying this time to relax! I thought I could share with you a few more pictures from our last week of school: Teen Number Stack 'Em Our students needed a challenge in the last weeks of school, and these teen number subitizing mats… Continue reading Take a Look Back #48- dinosaur sensory bin, teen number stacking game, and more! July 12, 2018 July 4, 2018 Amanda B.